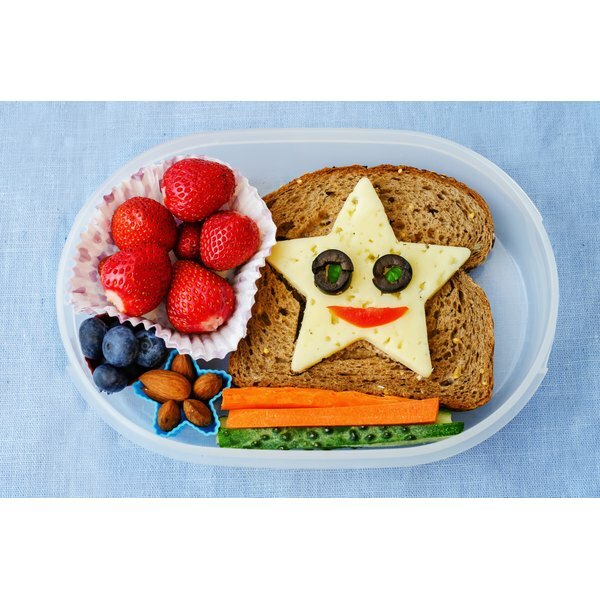 Whether your child has a diagnosis of Attention Deficit Hyperactivity Disorder or he's just a very energetic kid, changes in his diet may improve his behavior. Some children respond to food sensitivities with overly energetic or out of control behavior. Common problem foods include dyes and preservatives; however, some children may react behaviorally to a variety of foods. Including other foods in the diet can improve behavior, especially foods rich in good fatty acids. Hyperactivity in children can present with a variety of symptoms, including poor impulse control, a higher than usual activity level, difficulty sitting still and an inability to focus. While medications are commonly used for children with ADHD, many parents would prefer a solution that doesn't include the typical stimulant based drugs. Dietary changes are one option in this situation, but they can also be used along with medication. There are several diets routinely suggested for children with hyperactivity, particularly the well-known Feingold diet. These diets often focus on avoiding certain foods, and emphasize foods that may help to improve focus and reduce hyperactivity. According to the Mayo Clinic, scientific evidence supports the notions that some of the foods these diets advise to avoid may increase hyperactive behavior. The Feingold diet recommends that all food additives, including colorings, preservatives and artificial flavorings, be avoided to improve the symptoms of hyperactivity. No other foods are eliminated in this diet. The American Academy of Pediatrics supports removing these artificial ingredients from the diet of children with ADHD. Choose a diet with plenty of protein, particularly in the morning and after school. Opt for nuts, beans, cheese, eggs and unprocessed meats. Reduce simple carbohydrates, like white sugar and white flour and increase complex carbohydrates, including whole grains, fruits and vegetables. Be sure to include foods rich in omega fatty acids in the diet, including nuts, fish and olive oil, recommends EveryDiet.org. The Feingold program reports an extremely high rate of success, touting figures as high 68 to 90 percent. A British study conducted by the University of Southampton and published in "Lancet" in 2007 showed an increase in hyperactive behavior when children consumed artificial colorings, according to "Time" magazine. While you should not undertake significant dietary changes without your physician's approval, opting for unprocessed whole foods without additives or preservatives is a safe way to improve ADHD symptoms for many children.